DISCOVER AHMEDABAD WEEKENDER 2015 is a series of 3 events AMDAVADI RUSH, GLOBAL VILLAGE and BALAKALAKAAR. DISCOVER AHMEDABAD WEEKENDER 2015 is also called DAW2015. The Amdavadi Rush - PLAY FOR A CAUSE is the 1st Pre Event of Balakalakaar. The purpose of the event is to promote the GLORY OF AHMEDABAD and understanding among the International Interns from various countries. Amdavadi Rush is a unique type of Treasure Hunt where International Interns will team up with Amdavadis and will visit different places of Ahmedabad solving clues. 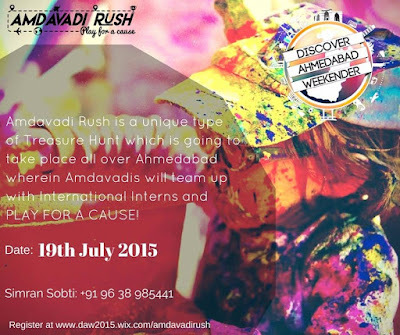 Amdavadi Rush is an opportunity for you to learn and explore your own culture and have a cross culture experience by participating in this treasure hunt with International Interns. The money collected through this event will be further used in the final event, BALAKALAKAAR. Global Village is an event happening in Alpha One Mall of Ahmedabad wherein more than 60 international interns will get together and showcase their country's culture. 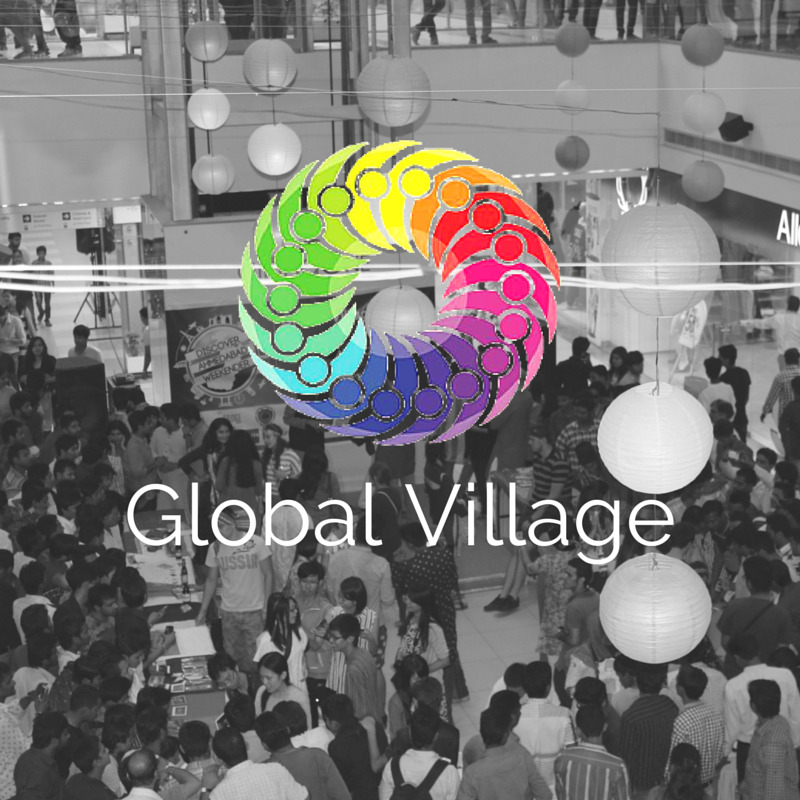 Global Village is an extravaganza where international interns will showcase their culture. 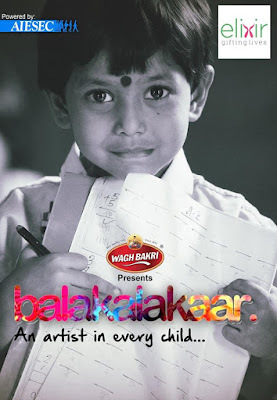 BALAKALAKAAR 2015....an artist in every child... is an initiative taken by local office of AIESEC in Ahmedabad which is going to happen in the Rajpath Hall on 25th July 2015. More than 1000 under-privileged kids will get an opportunity to learn art forms, dance, drama, music, etc and be able to discover what they are good at. More than 1000 under-priviledged kids will get an opportunity to learn and have fun. There would be various workshops with the sole purpose to make them learn. Also with the help of various supporters and well-wishers; we have managed to raise funds to support their basic education and needs for a year. Smt. Vasuben Trivedi who is the Minister of State Education, Women and Child Welfare of Gujarat Government is going to be the chief guest for the day. Ahmedabad a great opportunity for all of you to enjoy DISCOVER AHMEDABAD WEEKENDER 2015.